Quality twist action pen, with a frosted barrel and matt silver tip. With ribbed top section and a sturdy clip. Contains a black ink fill. 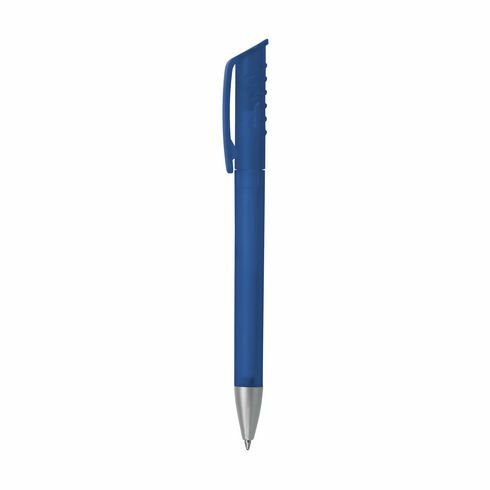 10 g. Pens with imprint are supplied in a dispenser box.